It has been over 14 months and two deal date extensions since the announcement of Walgreens Boots Alliance’s agreement to acquire Rite Aid Corp. Now WBA may act to push the Federal Trade Commission to come to a decision. The New York Post reported that WBA may claim that it has “certified compliance” in its application, meaning that it has provided the FTC with the information needed to determine if the Walgreens-Rite Aid merger is antitrust-compliant. If WBA indeed proceeds with such a move, which the Post (citing anonymous sources) said the company is considering, then the FTC would have 30 days to finish its review of the merger deal. One snag with the merger has been the case of Fred’s. In December, Fred’s agreed to buy 865 Rite Aid stores in a $950 million deal that was widely expected to pave the way for FTC approval of WBA’s acquisition of Rite Aid. Published reports have said the FTC has expressed misgivings about the Fred’s deal, including whether the financially struggling Fred’s would be able to digest the purchase — which involves more stores than the 643 it currently operates — and become a viable operator in the drug store arena going forward. What’s more, under its agreement to buy the 865 Rite Aid stores, Fred’s could be required to purchase additional stores if the FTC requires WBA to divest more stores than was contemplated when the deal was struck in December. 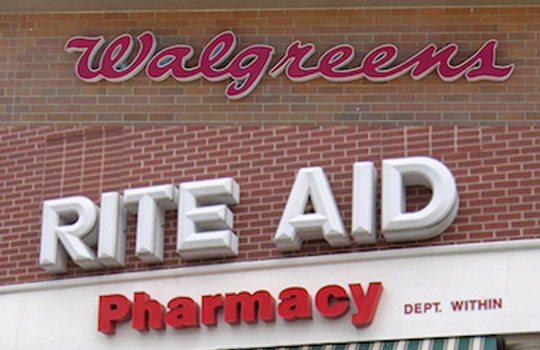 In an SEC filing last month, Fred’s said it amended a revolving credit facility in the event that it must buy more Rite Aid stores in connection with the Walgreens-Rite Aid merger. Pending the outcome of its Rite Aid store purchase, Memphis, Tenn.-based Fred’s would be in line to become the No. 3 U.S. drug store operator with 1,219 pharmacies, including 354 inside Fred’s discount stores. In late December, Fred’s also adopted a shareholder rights plan, known as a “poison pill,” after hedge fund Alden Global Capital had become the retailer’s single largest shareholder, with an approximately 25% stake. This week, Fred’s reconstituted its board of directors in a move that drew criticism from Alden. Also a factor in a decision on the WBA-Rite Aid deal is the current makeup of the FTC, the Post noted. In his first week in office, President Donald Trump named commissioner Maureen Ohlhausen, a Republican, as the five-member FTC’s acting chairman. She succeeded Edith Ramirez, a Democrat. With Ohlhausen as chairman and Democrat Terrell Mc­Sweeny as a commissioner, the FTC now has three vacancies. On Jan. 30, WBA and Rite Aid extended the end date for the acquisition deal to July 31, lowered the purchase price and raised the number of stores that could be divested from up to 1,000 to as much as 1,200. The companies last October had extended the end date for the deal to Jan. 27, 2017, from Oct. 27, 2016, and projected that the transaction would close in early calendar-year 2017. They originally said they expected to wrap up the merger by the end of calendar 2016.